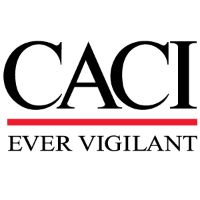 CACI is seeking an Information Assurance (Subject Matter Expert) to support our team in Hampton, Virginia. Lead and manage operations and maintenance (O&M), research and development (R&D), and procurement of data and information processing capabilities. Improve battlespace awareness and data for decision making at all echelons across Combat Air Force (AF) Command and Control (C2) and Intelligence, Surveillance and Reconnaissance (ISR) enterprise, Intelligence Community (IC), Joint, and Coalition air, space, cyberspace, and intelligence components, systems, and architectures. Conduct Intelligence Data Handling Systems (IDHS) and AF C2 & ISR related research, studies, analysis, enhance operations, increase mission effectiveness, improve information security, conduct experimentation, and implement new and emerging information access, processing, analysis and dissemination technologies in response to critical AF and IC multi-domain needs across Air, Space, and Cyber. Prepare comprehensive written reports and presentations based on research, collection, and analysis of information assurance data. Perform assessments of systems and networks within the networking environment or enclave and identify where those systems and networks deviate from acceptable configurations, enclave policy, or local policy. Document and monitor information assurance programs and computer network systems for compliance of continuity, operations security, forensics, regulatory compliance, insider threat detection and mitigation, physical security analysis (including facilities analysis, and security management). Assess and mitigate system security threats and risks throughout the program life cycle. Validate system security requirements definition and analysis. Establishes system security designs. Provide input and guidance of security designs in hardware, software, data, and procedures to accomplish network security. Verify security requirements; performs system certification and accreditation planning and testing and liaison activities. Supports secure systems operations and maintenance. Apply extensive technical expertise, and has full knowledge of other related disciplines. Develop technical solutions to complex problems which require the regular use of ingenuity and creativity. Work is performed without appreciable direction. Exercises considerable latitude in determining technical objectives of assignment. Bachelors in computer science or related engineering discipline and 8 years of experience. Considered subject matter expert in required position expertise. System analysts processing Risk Management Framework packages; qualification must be at least Security +. Eligible to obtain a Department of Defense (DOD) position appropriate level of security clearance..
Advanced degree (Master’s/PHD) in computer science or related engineering discipline, and CISSP, CISM or GSLC; level III IAM or IASAE I-III, DoDD 8140.01; DoDD 8570.01.